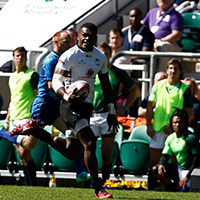 With only three days to go until the start of the Rugby World Cup Sevens, the Fiji Airways Men’s 7s team preparations are almost complete and the waiting game to see who they will play for round one begins. Will it be Japan, or will it be Uruguay? For Head Coach Gareth Baber either contest will be a solid challenge to commence the campaign, with the two countries playing contrasting styles of rugby. “Japan are notorious for their tempo and pace around the field and are probably the country I have seen more of across the year” he said. “From what I’ve seen in Chile and of the South American style, Uruguay will be physical in the middle of the park and have some big bodies to deal with”. 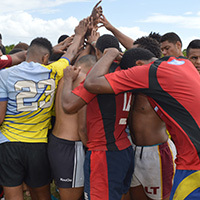 With the elimination format of the tournament making definitive analysis of opposition a tougher task, the emphasis for Fiji’s Head Coach has been to ensure the balance of talent in his squad is right to counteract whatever challenge he is presented with. “There is a slighly different balance that Im looking at going into this tournament, with only four games to play, so we are looking at less endurance and more physicality” Baber said. Baber’s squad announcement on the weekend raised a few eyebrows with the most notable omission of HSBC World Series Rookie of the Year, Eroni Sau. 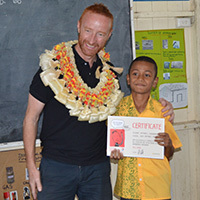 The dynamic try scorer, who is set to join Perpignan at the end of the season, had a stellar break out season on the HSBC circuit, however with the depth of talent and experience available for Baber to choose from, alongside Nacuqu, Cakaubalavu and Kurnabili, was unlucky to miss selection. “I felt for not just Eroni but also the three other players who have not managed to make the 12 aswell.” said Baber. “There were very tight margins, and with what I’m looking for at this stage, this is the squad I believe will be set to go forward for Fiji”.